"Why isn't the new spec internal thunderbolt?" Thunderbolt is PCI-e x4 multiplexed with display port. 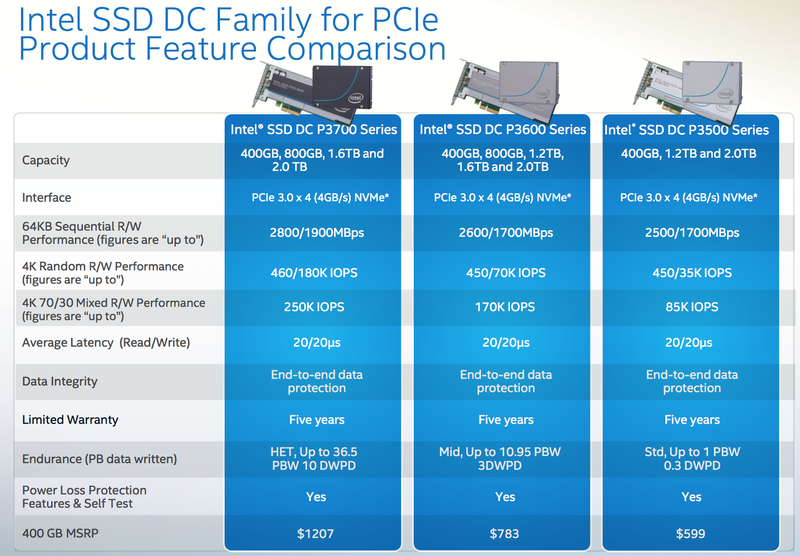 Intel's new SSD is PCI-e x4. 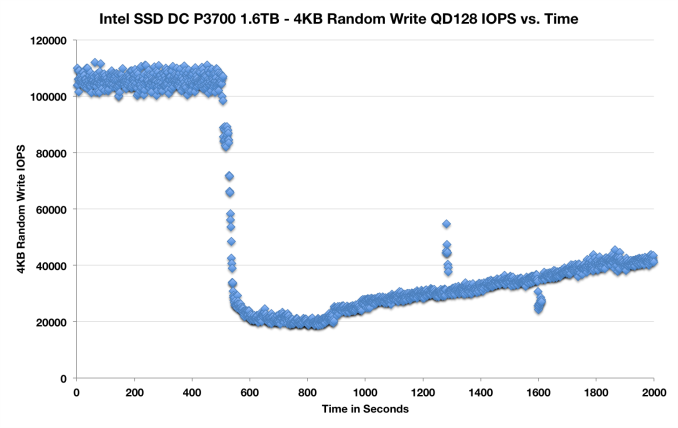 I don't think we have a reason to route display port to an SSD, so thunderbolt makes no sense. Was this sarcasm that I missed? "At some point the hard drive should be replaced by a PCI-express full length card that accepts NAND cards, and the user simply buys and keeps adding cards as space is required. This can already be done with current technology, no reinventing the wheel required." What protocol are the NAND cards going to use to talk to the controller? There are many engineering limitations and complexities here. 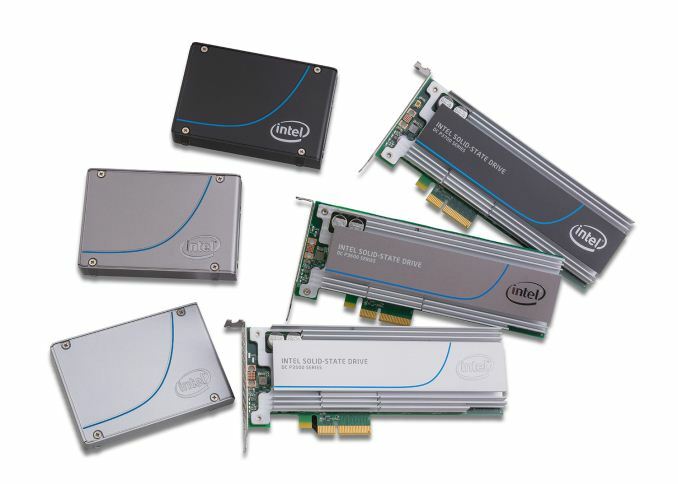 Are you going to have 18 channel controller like this new Intel card? If you populate channels one at a time, then it isn't going to perform well until you populate many of the channels. This is just like system memory; quad channel systems require 4 modules from the start to get full bandwidth. It gets very complicated unless each "NAND card" is a full pci-e card by itself. Each one being a separate pci-e card is no different from just adding more pci-e cards to your motherboard. Due to this move to pci-e, motherboard makers will probably be putting more x4 and/or x8 pci-e slots with different spacing from what is required by video cards. This will allow users to just add a few more cards to get more storage. It may be useful for small form factor systems to make a pci-e card with several m.2 slots since several different types of things (or sizes of SSDs) can be plugged into it. This isn't going to perform as well as having the whole card dedicated to being a single SSD though. I don't think you can fit 18 channels on an m.2 card at the moment. 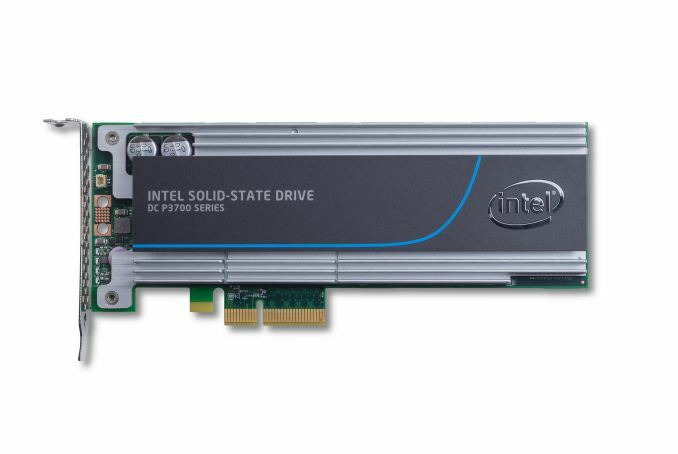 "I long for the day when we don't just see these SSD releases limited to the enterprise and corporate client segments, but spread across all markets"
Long time fan and love your storage and enterprise articles, including this one. 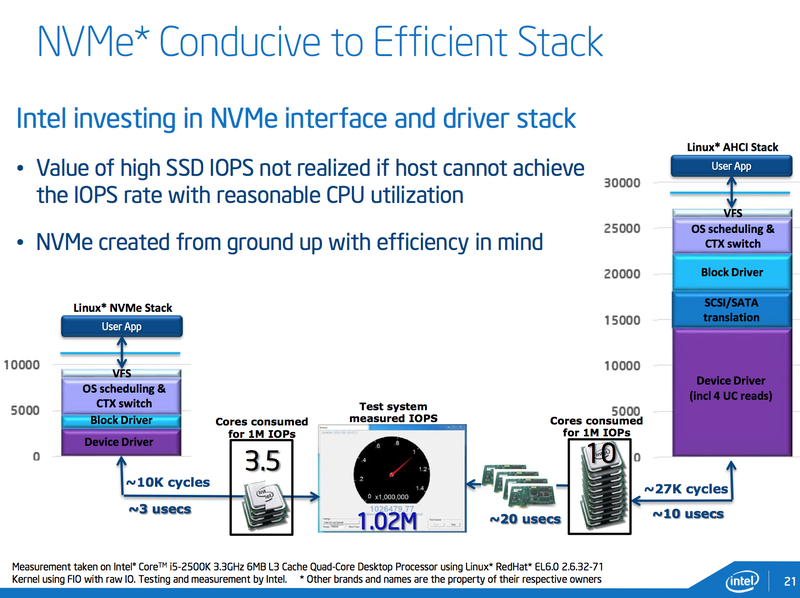 One questions - what the driver situation on NVMe as far as dropping one of these into existing platforms (consumer and enterprise) and being able to boot?